This book was in the Halloween section at my local Barnes and Noble. Being about bones, this book could be shared around Halloween, but this is a nonfiction book that will be useful all year round. The book tells about ten animals who hold a record related to their bones. 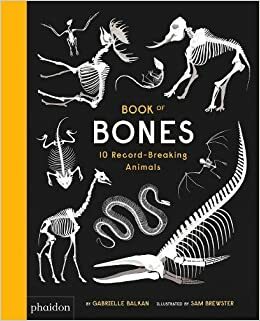 Readers can find out what animal has the biggest bones, the lightest bone, and the fewest bones to name a few of the records shared in the book. The book gives clues about the animal and its bones for the reader to figure out. The information is presented in a fun way that will amuse readers. The author also makes connections between a human's bones and the animals' bones. I can definitely see my students being enthralled with the information in this book. I have a collection of well-worn alphabet books from when I taught first grade that I used to put out in my classroom library at the beginning of the year. These books helped beginning readers feel successful because they could go through them naming the letters and the word associated with each letter. Even though I don't teach first grade any more, Patrick McDonnell's book is one that I will add to my collection. 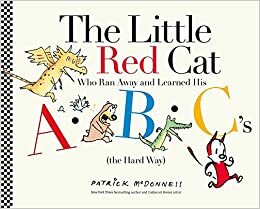 The book is almost wordless, telling the tale of a little red cat who ran away and is being chased, first by an alligator, and then some other animals who join in. 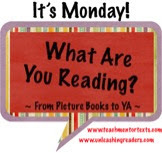 As readers tell the story, they can figure out what each letter of the alphabet stands for (the author gives the list of words for each letter at the end). There is an almost catastrophe at letters N and O, but the story works out for all involved. This is probably the most fun alphabet book I've read. This poetry book is just what it sounds like from the title, a collection of poems with a lot of nonsense. 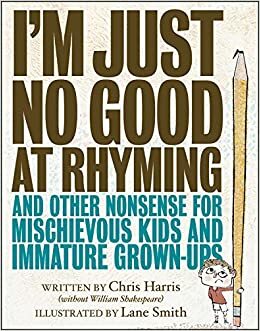 Chris Harris has been referred to as the 21st-century Shel Silverstein and his book is definitely reminiscent of Silverstein's poetry. I think these poems, which will definitely make young readers laugh, are a bit edgier. Some are a play on words, such as, "The Ice Cream Mondae." Some give insight into childhood, like "You'll Never Feel as Tall as When You're Ten" and "The Little Hurts." Others, like "I Don't Like My Illustrator," are just plain funny. Fans of ridiculous and amusing poetry will enjoy this collection. Stella is on her way home from NASA when she is followed by a black hole. The black hole seems a convenient pet because it can swallow all the things she wants to get rid of, like Brussels sprouts, the stranger sweaters her aunt makes, and anything that reminds her of her father who recently died. When Stella, and her brother, get swallowed into the black hole she finally learns to acknowledge the black hole at the center of herself and realizes that it's possible to move on in the face of sadness. There is some science interwoven into the book, as well as a lot of humor. Michelle Cuevas, author of one of my favorite novels, The Confessions of an Imaginary Friend: A Memoir by Jacques Papier, and the picture book, The Uncorker of Ocean Bottles, has a great imagination and unique writing style. Kyle and his friends are participating in Mr. Lemoncello's new Fabulous Fact-Finding Frenzy game in the third book in the Mr. Lemoncello series. With its puzzles and adventure this is a fun book to read. 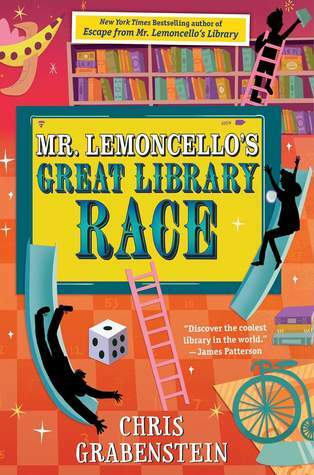 The book also highlights the importance of research, facts, and not jumping to conclusions as Kyle and his friends work to uncover the truth when they discover information about Mr. Lemoncello that could destroy his company and the library. Many well-known books are referenced throughout the story and the list of titles is included at the end. This is another fun addition to the series with a great lesson. Thanks, I will have to do that! I loved The Little Red Cat! Such a clever wordless ABC book...Definitely not just for little kids! Have a terrific week! You're right! All ages can enjoy it! There is a new dinosaur exhibit coming at our science and nature museum this week, so having that Bones book could be very handy! They might have it in the gift shop! I will look for I'm Just No Good At Rhyming, sounds fun! That sounds like a cool exhibit! I also collect alphabet books so I'm going to be on the look for The Little Red Cat Who Ran Away and Learned His ABC's. Book of Bones looks fascinating. 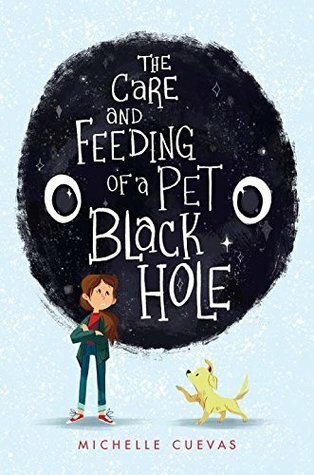 The Care and Feeding of a Pet Black Hole is another I now want to read. I love alphabet books. There are just so many different ones and this one will be a fantastic addition to your collection. I have the poetry book and Black Hole to read from the library. Hoping to have time to get to them before they are due! Loved the ABC book, reminded me a lot of last year's Geisel Honor Oops Pounce Quick Run! It's always a race to try and get the books read before they have to be returned to the library! I now am so glad I checked out The Care and Feeding of a Pet Black Hole. Your review is making me move it up in my TBR stack. The Care and Feeding of a Pet Black Hole looks really incredible. Also love the look of the Bones book. Thanks for sharing!